Last month, the museum hosted Dr. Kelly Selby, assistant professor of history at Walsh University. The audio of her presentation “Ohio Women and the Civil War Homefront” can be accessed here. She made a compelling argument that women’s contributions to the war were important and had an impact on its outcome. Women all over the country began taking care of family farms and businesses when their men went off to fight. They also continued their roles as mothers and wives by providing clothing and food for the soldiers. 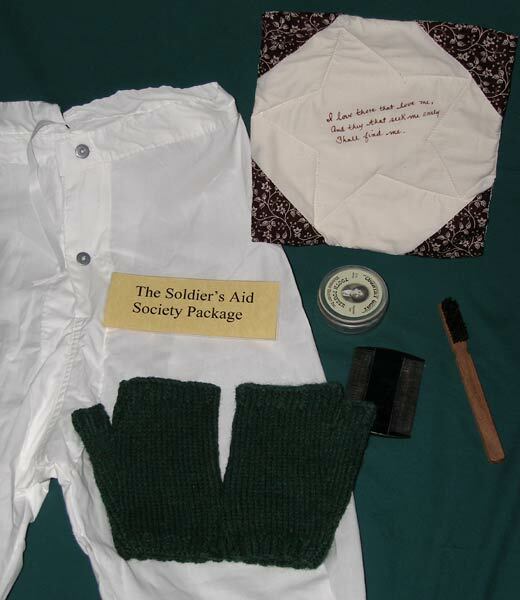 Northern women organized a Soldiers Aid Society to make and collect items for these items for the troops. They used the U.S. Sanitary Commission to coordinate and distribute the goods to the soldiers on the front lines of battle. By the third year of the war, Northern women were running very low on supplies they could ship to the soldiers. They started raising money through Sanitary Fairs. These big fairs provided entertainment and food to local communities for a small entrance fee. Instead of sending the money to the U.S. Sanitary Commission in New York City, the Soldier’s Aid Societies used the money to buy supplies from local merchants to continue making clothes and food for the soldiers. The Sanitary Fairs were hugely successful and the money raised helped maintain the economy in many small towns all over the North. Women in the South had similar efforts. As the war dragged on, they ran out of supplies to send just like the Northern women. The Southern women were unable to raise money because most of the South’s wealth was in cotton. Due to the blockade on the coast, they were unable to sell the cotton. Near the end of the war, their children were starving and they had nothing to send to the troops on the front lines. Instead of sending supplies, wives and mothers wrote letters asking the soldiers to come home to help feed the family. Selby concluded that women’s major contribution in the Civil War was support and supplies. The difference of the Northern women’s ability to continue these effort throughout the war impacted the outcome of the war. Thank you to Dr. Selby for a wonderful and informative presentation! very interesting and informational. Thank you for the divine details on what women have done for what they believe to be right.